March 10, 2015 March 22, 2015 randylewiskemp1 Comment on Should VoIP Be Regulated? 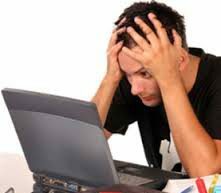 The growing penetration of Internet into our workspaces as well as homes has enriched our lives but at the same time it has thrown up some unique challenges. Data on the web moves freely and openly. Will it be the same for VoIP calls and data pertaining to the calls? Are the businesses going to accept that the calls move freely when they are being transmitted over the Internet? The assumption of this fact might be easy for many, especially when any kind of regulation on the web is not accepted easily and often resisted. However, if it is the business VoIP connection then regulations on it has to be there for the benefit of the business. 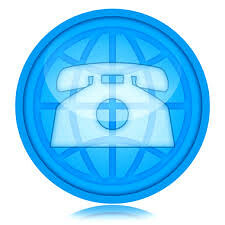 If you have recently switched to VoIP then in the coming days you might even adopt mobile VoIP as well. You will need to drill deeper into the VoIP regulations if you wish to safeguard your VoIP connections against a variety of malpractices. The VoIP users in the E.U. countries and North America have to abide by some of the regulation when the VoIP connection leverages PSTN connection. The regulation has to be put because the legacy carriers do not want to lose money and needs to be compensated when their network is used. The corporate users are able to receive the services at cheaper rates but here the VoIP connection complies with the legacy standards. This is needed because the service providers are compelled to provide good quality. For the VoIP connection that does not leverage the PSTN, regulations are generally not used. For instance when Skype has to use such a connection, it uses the PC to PC communication. On the other hand when business make use of such applications they tend to prefer quality over the free services. The limited features and integration disabilities does not make the experience better. In case you are a user who belongs to the zone where both the regulated as well as unregulated VoIP connections are used then the quality of the connections will definitely vary. For the business that want to focus on their core business functions, partnering with a provider that providers regulated VoIP will prove to be very useful. You will have to find out how things work out in reality and then take your decision regarding the regulation. Can Skype for Business deliver with Verizon?